There are rare moments now where I can lose myself completely in the creative act, where my real world just falls away and my creative world embraces me and tells me everything is ok. It is most definitely therapeutic. I’m from Adelaide, Australia, and I’ve worked as a professional artist for over 40 years, exhibiting my work around the world. My art is varied, spanning from large paintings on canvas (not so much now as Parkinson’s makes it difficult to tackle large works) to small works, drawings and printmaking. About seven years ago, I started to notice that things were not quite right with my health. I was having moments where my thoughts were cloudy, I was anxious and becoming depressed. 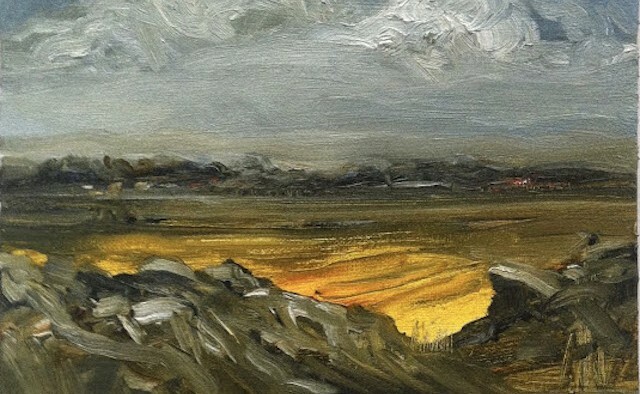 I was experiencing problems finding the right words in conversations and had developed a tremor in my right hand – which made it difficult for me to hold a brush or draw. I had a real heaviness in my body which slowed me down. Gradually, the tremor in my hand worsened to the point where I was having problems with the simplest of tasks such as holding cutlery and buttoning shorts. Everyday things became harder and harder. I also developed a slight stammer when I talked and found it difficult to speak at times. Sometimes, all I could manage was (and still is) a raspy whisper. It came to the point where I asked people to only contact me via email, as I was too self-conscious to use the phone. My studio work had all but stopped as I tried to work out what was going on physically and mentally. It was a very tough period emotionally, especially for my partner Lorraine. I went to see my doctor and he sent me to a neurologist because he suspected it was Parkinson’s. I was shocked, but the thought of Parkinson’s had also crossed my mind. The neurologist confirmed my diagnosis and I was put on medication. With some fine-tuning and dosage adjustments, I began to feel more in control. Finally, I felt some relief. How has being diagnosed with Parkinson’s affected your work and your creative process? Parkinson’s has affected my work greatly, I cannot lie or sugar coat it. There are days when work is all too hard. If I have bad tremors it is difficult, but I can sometimes get things done by timing medications and just getting into a mental zone to get through. If I am in a brain fog, as I call it, I simply cannot work. There are moments where I cannot even understand the creative process. Those days are very strange and upsetting for me and it’s best to shut the studio door and live life, maybe even have a dance around the lounge with Lorraine… music is optional! 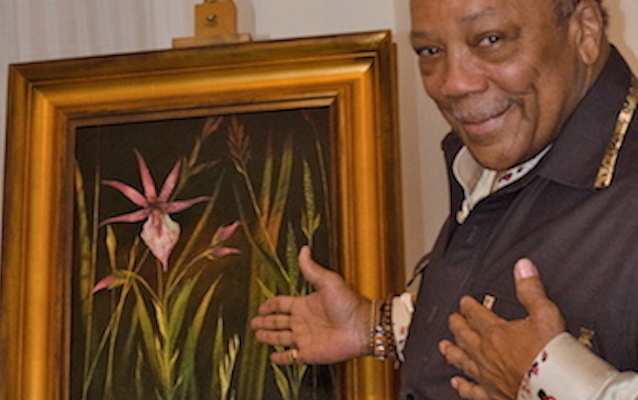 US record producer Quincy Jones with his painting by Timothy John. What has been your greatest artistic achievement to date? With more than 40 years of work, there have been so many highlights. The one that stands out right now is a commission I did a few years ago, of a painting for the great musical genius Quincy Jones. It gives me a real kick knowing that such an idol of mine looks at and lives with one of my works. My biggest influence, not so much in style but in attitude – and by that, I mean wanting to try everything and do everything in a creative sense – would have to be Picasso. Creative therapies are becoming increasingly popular as a means of treating Parkinson’s. Do you find your art to be particularly helpful? My art is my life – it always has been. There are rare moments now where I can lose myself completely in the creative act, where my real world just falls away and my creative world embraces me and tells me everything is ok. It is most definitely therapeutic. What would you say to those who have a career in the arts who have been diagnosed with Parkinson’s? Every person’s journey seems to be different. To be honest, the creative life post-Parkinson’s is difficult because you are dealing with the memory of what was. That elation of creation is now clouded by alien feelings and thoughts, and what was a joy can sometimes be so incredibly frustrating. The advice I would give is to accept things are different, accept that not every day will be a day to create art and accept that the actual physical and mental process will be different – but there will be times when the spark of the old you will ignite, and the artist will shine through. These are the moments to focus on.